Awww. 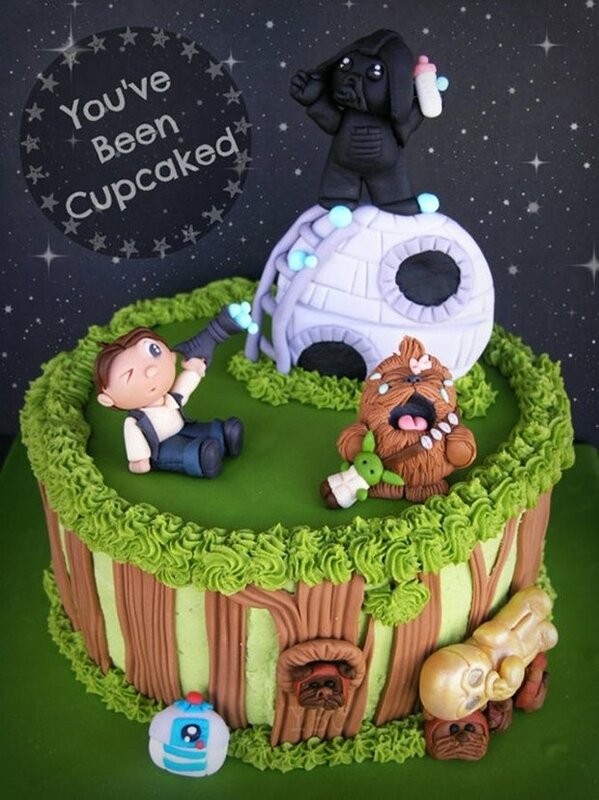 Look at this adorable Star Wars cake. 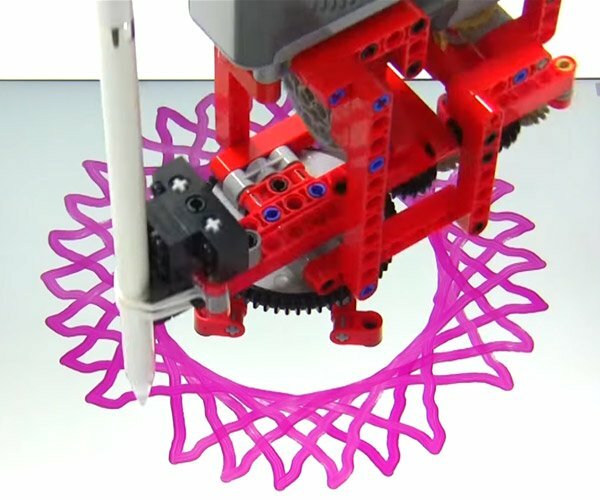 It has so much cute that it looks like a Star Wars pre-school toy. 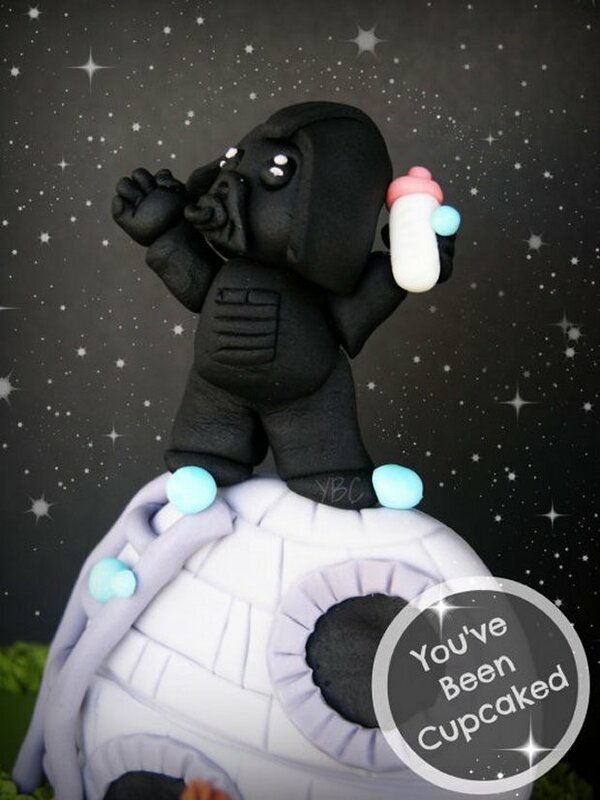 It just might be the cutest Star Wars-themed cake ever. 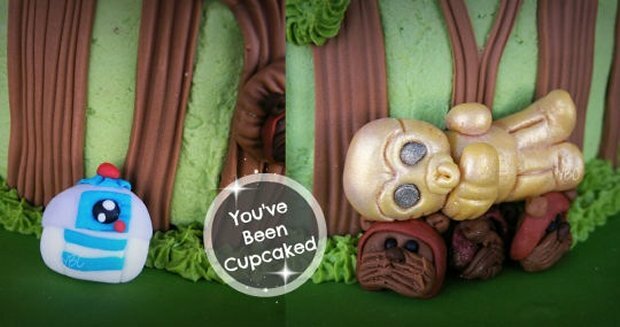 Wallingford, Connecticut based bakery You’ve Been Cupcaked is responsible for this sugary treat. Up top, Chewie is holding a Yoda toy and crying, because it looks like baby Vader stole his bottle. That must be why his buddy Han has his baby blaster aimed at the Sith Lord, who is on top of his Death Star playhouse. Below we see C-3PO sleeping on an Ewok. There’s another Ewok peeking through a tree and R2 is also here. Awesome cake. Too bad I can’t eat it.